Scalp acne can be very frustrating, particularly if you are genetically prone to it. Although there are many products out there that are designed to help you get rid of acne on your face and body, there aren't many that are specifically created to reduce acne on your scalp. In this article, we'll discuss the best shampoo for scalp acne to help you get rid of this pesky problem and feel healthier and more confident. Many people have never heard of scalp acne, and even those who suffer from it from time to time may not fully understand where it comes from or how to treat it. Scalp acne are little red bumps on the skin that are created when excess oil or bacteria clog the pores. Many people are also prone to having naturally blocked pores, which results in acne. Many people with an oily scalp are particularly prone to this condition, because the hair follicles naturally release excess sebum, which quickly clogs the pores if not managed effectively. In particular, these bumps are prone to forming around the hairline, but can also be located anywhere else on the scalp. Just like acne in any other place on the body, there are several factors that can contribute to scalp acne. Many people are more prone to it during their teenage years, when hormone levels are fluctuating, and many women are also more likely to get it when they are menstruating. Very hot conditions can also cause scalp acne, as sweat, dirt, and bacteria are more likely to get stuck in the scalp and clog the pores. This can also happen if your scalp is particularly oily or greasy consistently. Another very common cause of acne is stress, so if you are going through a challenging period in your life, you may be more prone to scalp acne. Environmental factors such as pollution or chemical exposure can also make you more prone to this condition. If you wear helmets or other restrictive headgear, you may experience this condition because sweat builds up in this area with no place to go. Finally, acne can be genetic, so if some of your family members struggle with it, you may be more likely to experience it as well. How Should You Treat Scalp Acne? Treating scalp acne can get tricky, but there are plenty of things you can do to help make it go away. Of course, the most important thing is to find a great shampoo like the ones we will review later in this article. A good shampoo will help create ideal conditions on your scalp so that oil and bacteria do not build up and clog pores. This will also help your hair feel healthier too, as you won’t have unnecessary oils weighing it down. If you have severe acne, a dermatologist may prescribe you pills to help reduce the inflammation present on the skin. 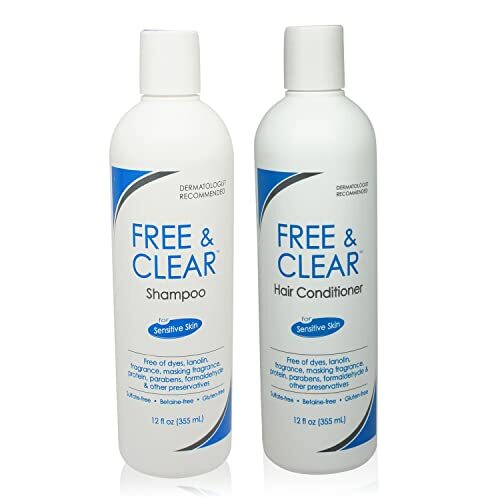 This is only for very serious scalp acne - it will usually go away when treated with shampoo. It is very important to note that the typical acne treatments that you might use on your face - such as benzoyl peroxide - can be very dangerous when used on your scalp, which is more sensitive. Be sure to use only treatments that are designed for the scalp specifically. Don't be afraid to consult a doctor if the scalp acne persists, as this can be very painful and unpleasant if it goes on for too long. There are several great shampoo options for those who suffer from scalp acne. You don't need to spend a lot of money to find a great product to help you with this condition - there are many options that are affordable and are readily available in store or online. 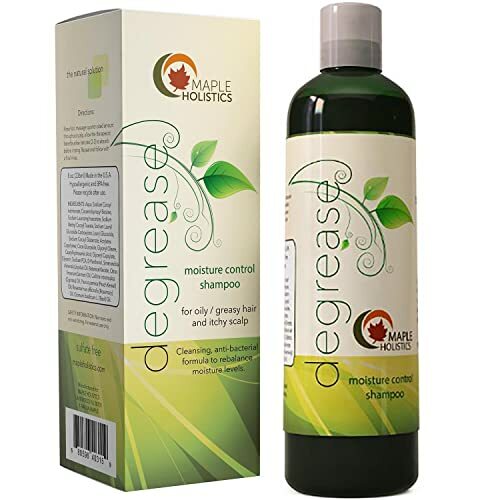 This gentle therapeutic shampoo is designed specifically to remove scalp build-up and clear up scalp acne. It contains salicylic acid, which has been proven to be quite effective for treating scalp acne without being too harmful to the sensitive skin in this area of the body. It breaks down any dirt, oil, or bacteria that has crusted over and created acne, and it also relieves dandruff symptoms like flaking and itching. Since it is very gentle, you can use it every day to break down scalp problems. This shampoo does not contain any added colors, fragrances, or preservatives, so it won't irritate the scalp further. In many cases, it can actually get rid of scalp acne permanently, so you can go back to using your traditional shampoo. This natural product is made from pure tea tree oil, which is known to have many positive benefits for the body. It is designed to be both anti-fungal and anti-bacterial, so it gets rid of all the buildup that could potentially cause scalp acne. It also contains no sulfates and is completely hypoallergenic, so it is perfect for sensitive skin. Additionally, it helps with a variety of other problems, such as head lice, dandruff, and even hair loss. It protects the hair's internal structure so that you won’t experience damage or breakage when using heated tools. It also does not leave any residue or buildup in the hair, which is a problem that many people experience with traditional forms of shampoo. If your scalp acne is caused by excess oil production, then this is a great option for you. It uses lemon essential oil, which is designed to help balance your scalp's pH levels and normalize oil control, which prevents your pores from clogging up. It also contains jojoba, which is a moisturizing component that helps keep your hair healthy without irritating your scalp. It can also prevent dandruff and hair loss. This shampoo contains a great list of natural ingredients with no sulfates or parabens, and it also contains antioxidants and vitamins. It really does work to not only get rid of buildup in your hair and scalp, but also reduce your scalp's oil production, which prevents future breakouts. However, since this product is made specifically to target greasy hair, it won't necessarily help if you are struggling with itching or flaking. This natural shampoo not only treats scalp acne and other problems, but also gives a very refreshing effect that users enjoy. 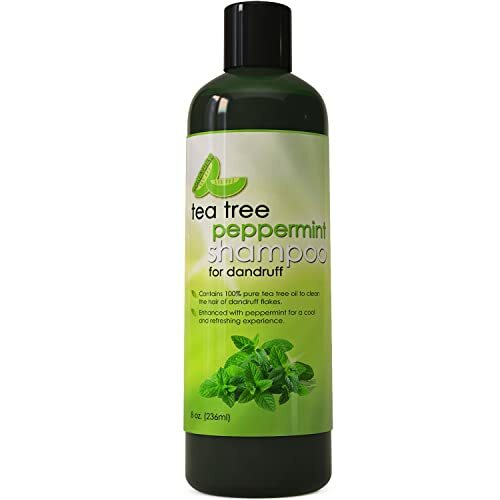 The combination of tea tree and peppermint oils in the shampoo leaves the scalp feeling very cool and soothed, which is very ideal if you struggle with irritation and itching. It has a moisturizing component as well, so if you have a dry scalp or dry hair, you will notice that your head feels healthier without having to overproduce oils. It is very gentle, so if your scalp or hair is sensitive, this is a great option. It is quite effective at treating dandruff and reducing other scalp issues. 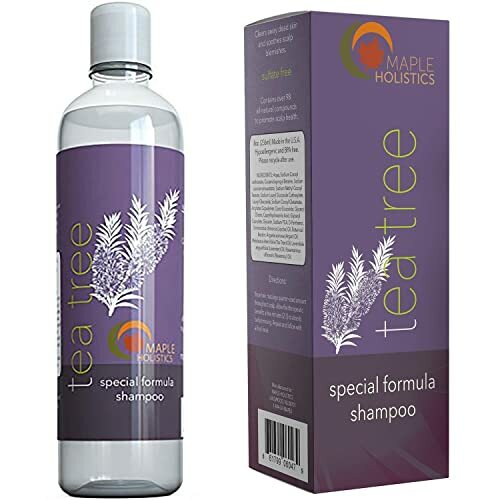 This extremely gentle shampoo is designed specifically for those who have sensitive skin issues. It works quickly to relieve any problems with scalp acne or irritation without any harmful chemicals, and it is very gentle for the hair as well. Customers particularly enjoy it because it works quickly and you only need a small amount to do the job. It comes with a matching conditioner that also works to keep your hair and scalp healthy, and the line offers other products that are targeted at helping people with sensitive scalps. There are plenty of great options for shampoo when it comes to treating your scalp acne, so you don’t have to continue struggling with this pesky condition. 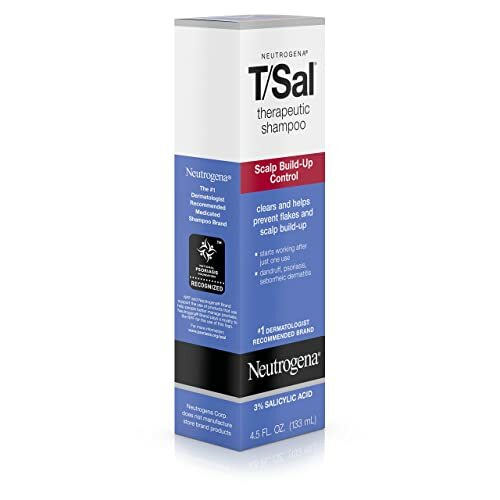 While we like all of the options reviewed here, we highly recommend Neutrogena T/Sal for scalp acne, or the Free and Clear shampoo if you are looking for something that treats a wide variety of scalp problems and is very gentle.